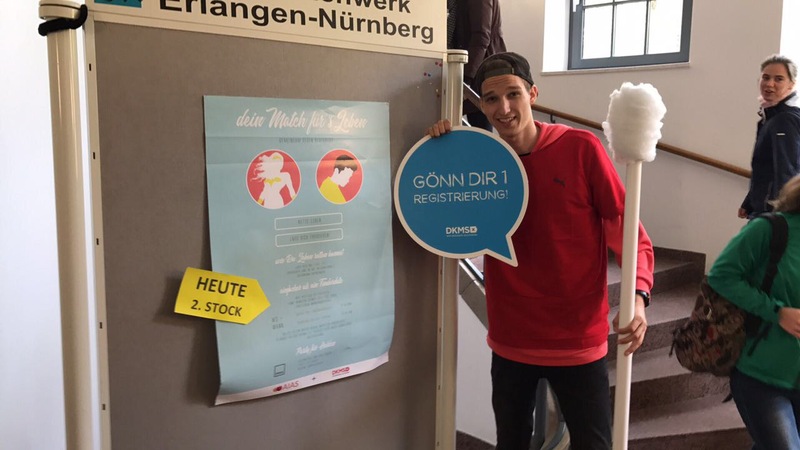 Successful stem cell donor registration event for AIAS Erlangen-Nürnberg!. 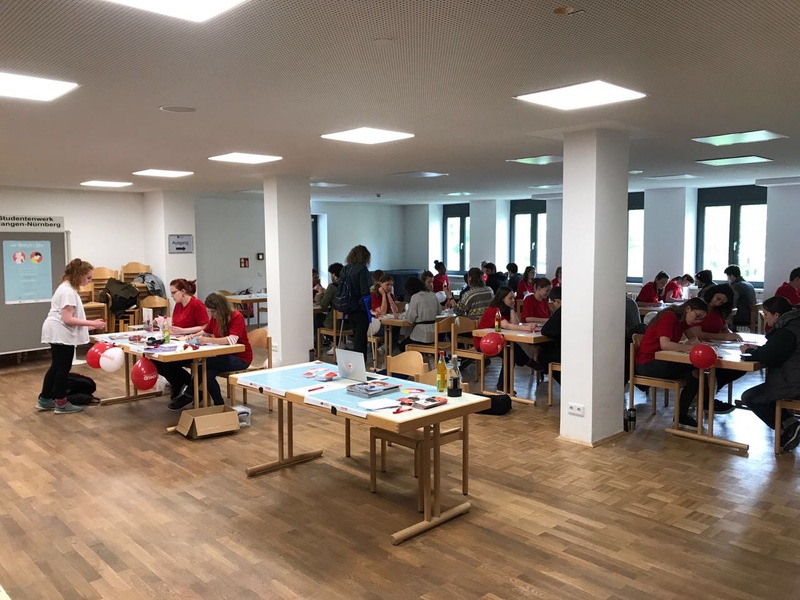 Successful stem cell donor registration event for AIAS Erlangen-Nürnberg! 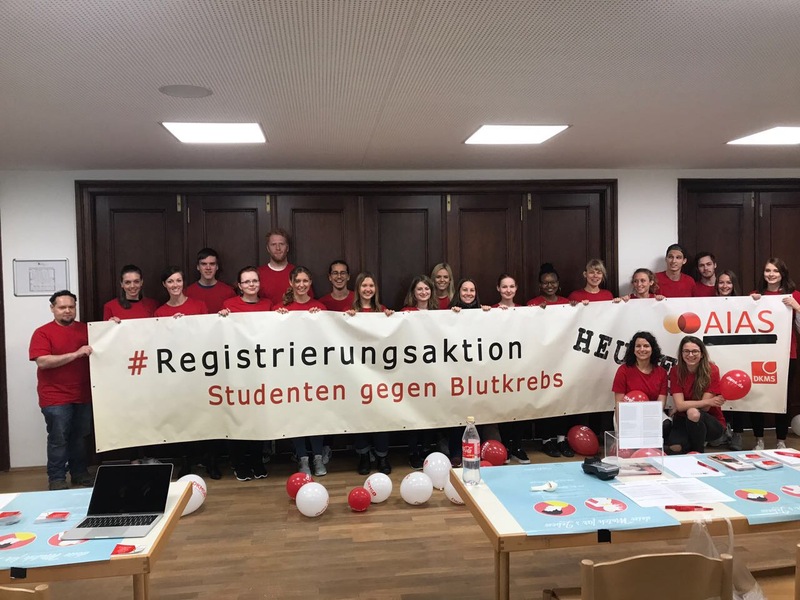 749 new registrations against leukemia – that’s the end result of a big registration event by the charitable association AIAS Erlangen-Nürnberg (Students against Leukemia) at the University of Erlangen, a town close to Charity Cat, on 4th May 2017. The members of AIAS and helpers set up stalls at two locations at the university. The goal: to get as many students as possible to register with them as new stem cell donors. The charity, which was founded by medical students in Erlangen and that wants to extend the success of AIAS in Germany, is very happy with the number of people they registered during the event. Charity Cat donated the red T-Shirts for all of the helpers at the registration event.